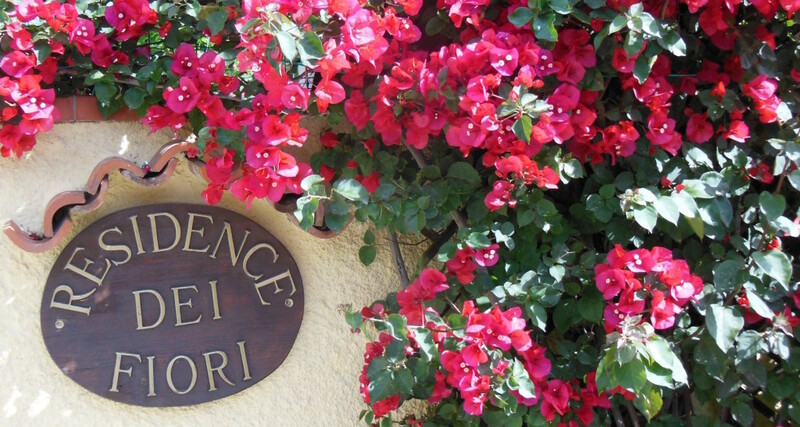 The Residence dei Fiori is surrounded by a beautiful garden only a short walk from the splendid sandy beach and small village of Marina di Campo. We have created a homely welcoming atmosphere in creating several small buildings nestled in our flowery gardens together with communal areas like our gazebo and open air pool, perfect for a quick dip before your evening meal. Our apartments can sleep 2,4 or maximum 5 people and are situated on the ground floor with Fully furnished patio terrace or on the first floor with an open terrace and parasol. All our apartments are tastefully furnished and have independent access. Inside you will find a small kitchenette with a gas hob, fridge-freezer, TV, telephone, safety deposit box, air conditioning, heating for low season and hairdryer. 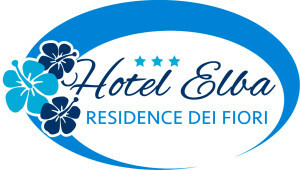 Guests of the Residence dei Fiori can use the facilities of the Hotel Elba including its bar and breakfast buffet. Our breakfast buffet is open from 8am to 10 am and you can relax and start your morning off on a sweet or why not…savoury note. The hotel restaurant is also open to guests of the Residence with a take-away formula. You may order from out set menu in the morning and come and pick up your tray in the evening and eat al fresco in the comfort of your own terrace. Our apartments are open all year round have private parking and heating for off season months.